What sets Steve Emery Roofing Specialists apart from our competitors is our vast range of services available – we offer a dazzling array of options on our roofing work, such as roof lights, guttering, storm damage, chimney work, fibre glass roofing & many more. Whatever your specific roofing needs are, we have the expertise & the experience to match all your requirements. 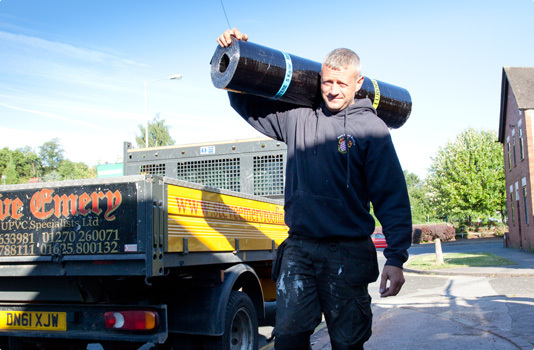 We supply all the materials needed for the job & ensure everything we use matches current BSI requirements. Why choose Steve Emery Roofing? We also now offer fibre glass roofing which is a new product that gives the longest guarantee for durability and life expectancy. As an alternative to flat bitumen roofs this may better suit your garage, office or factory. Advice and quotes are free so please do get in touch to see what we can do for you.